This week we'll tackle a somewhat peculiar case: hardware synthesizers. The first one consists in sending the signal of the synth into a bass or guitar amp and then record the sound placing one or more mics in front of the amp's speakers. While this is by far my preferred method, I won't look into it today because we will have the opportunity to discuss in detail how to record amps later on when we get to recording electric guitars. Nevertheless, here are a couple of remarks on the topic. First of all, from a strictly technical point of view, it's important to know that in order to send the synth signal to the amp you must use a reamping box to adjust the line level of the synth to the correct "instrument" level of the amp. Now allow me extol the virtues of this technique: In my opinion, the sound you get is much more "3D" than with the other method, because the mics really capture air movements, which is much more lively. Besides, going through a good tube or solid-state amp can add a vintage touch and/or fatness to your sound without too many efforts. Last but not least, I have also found that guitar players usually deliver better performances with this technique because they can really feel the "energy" of the sound produced, which makes it easier to get into the right mood. Anyway, if you've never tried it before, do it and let me know what you think! The second method is basically recording your synth directly. But be careful, rather than plugging the outputs of your synth directly into the line inputs of your soundcard, I strongly recommend you to go through a DI box, passive whenever possible, before you actually go into the preamps of the card. Why, you ask? Well, basically due to the prevailing anarchy regarding the output level of synths. Even if most synths deliver an unbalanced line signal at the output, there are no real standards for this line level and the differences between models can be quite significant. So this "line level" signals may be too much to handle for some entry level or midrange soundcards. If you use a DI box you avoid all such issues because the signal is transformed into something that any mic preamp can handle. Plus, the signal is balanced which means it can travel longer distances without any degradation or interference. And to top it off, you can profit from the analog sound of your favorite preamps for your synths. What else could you ask for? Okay, that said, let's move on now to more important things! 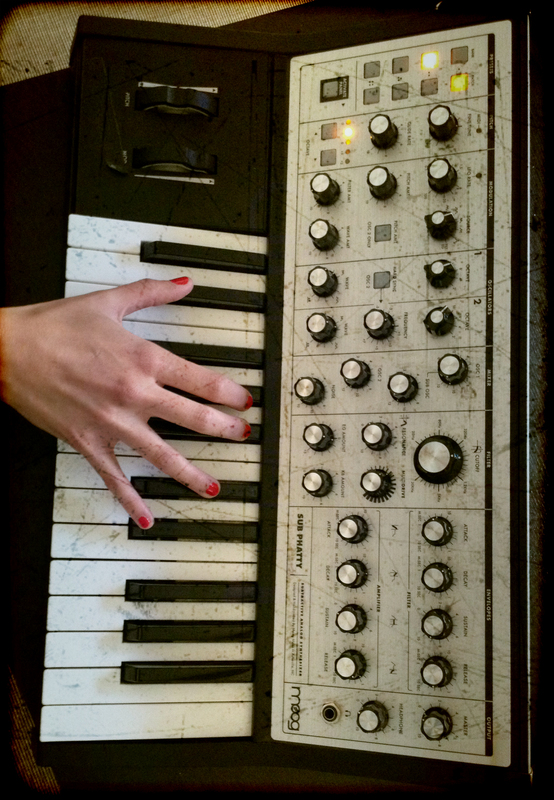 The synth used for the following audio clips is a Moog Music Sub Phatty. I chose a relatively simple bass sound because my goal here wasn't to showcase the possibilities of the synth. 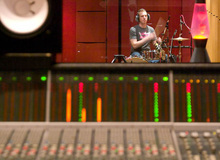 As recommended in the paragraph above, the Sub Phatty went into a passive DI box before going into the mic preamp. The first clip comes directly from the reamp of my TC Electronic Konnekt Live. The result is not breathtaking, but it would do the trick. While not strictly related to the goals set out at the beginning of this series, I thought it would be interesting to include some clips going through a more high-end preamp, such as the Chandler Limited TG 2. The first example uses somewhat conservative settings (+10dB input), but the result is definitely more faithful to the source, and especially less "dull" than before. The preamp offers the possibility to adjust the input and output gain separately, so you can really make things hotter. On the second clip, it's set to +40dB, which results in the TG 2 nicely coloring the sound of the Sub Phatty without changing its nature. Finally, the last example with +70dB of gain really crushes the signal, which nevertheless might be interesting in some situations. If your budget doesn't allow you to get a preamp in the same league as the TG 2, there is yet another alternative to give your synths a more or less analog touch at a discounted price: guitar pedals! 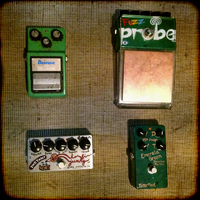 On the first clip the Sub Phatty goes through an Ibanez TS9 Tube Screamer overdrive to significantly heat up the mids. On the second clip I used a Zvex Fuzz Probe to mess up with the Moog. The third clip was done using an Instant Lo-Fi Junky Vexter, again from Zvex. 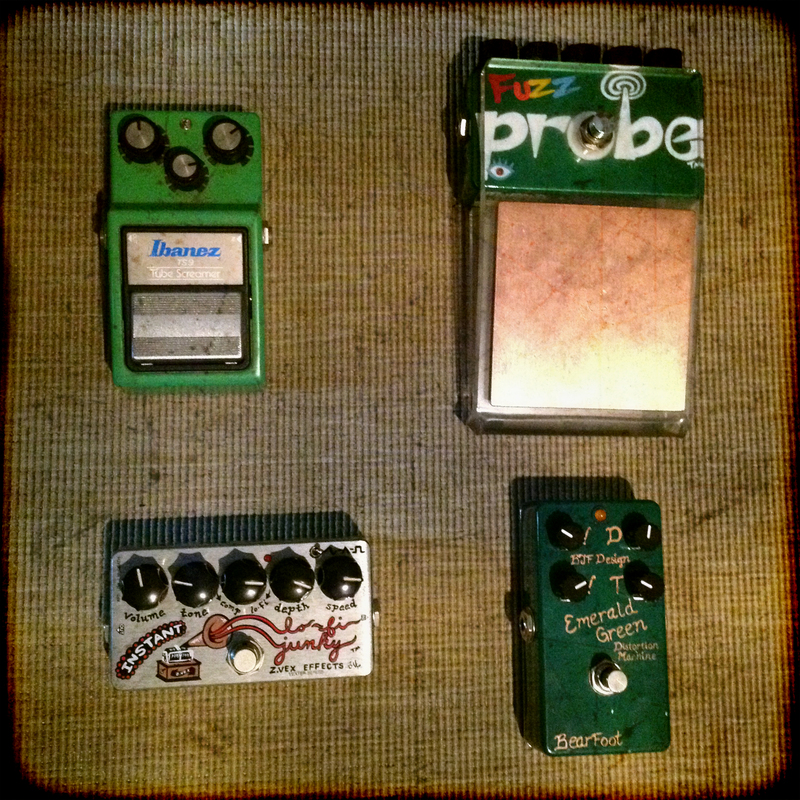 The last one went through a BearFoot Emerald Green distortion pedal. As you can see, you can have lots of fun without going broke! One last remark before I finish: If your hardware synth features a MIDI out, don't hesitate using it to record your takes, too. The MIDI recording won't take too much space on your hard drive and it will allow you to make some sort of reamping of your performance by making your synth play it back but with different settings. And since you won't have to actually play the part, you could even try to fiddle with the settings in real time. Interesting, isn't it? A big thank you to Caro for coming over a couple of hours to have a cup of coffee with her Sub Phatty. I owe you one!